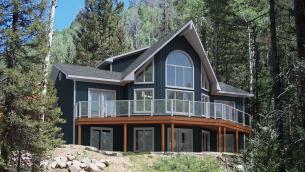 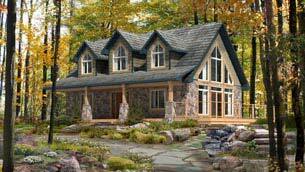 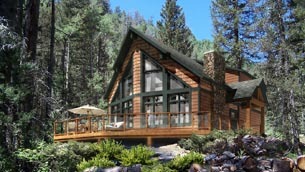 The Ashland is exactly what you would imagine a Canadian family home to look like. 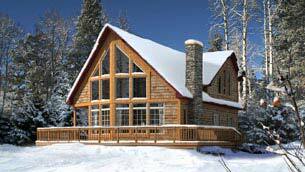 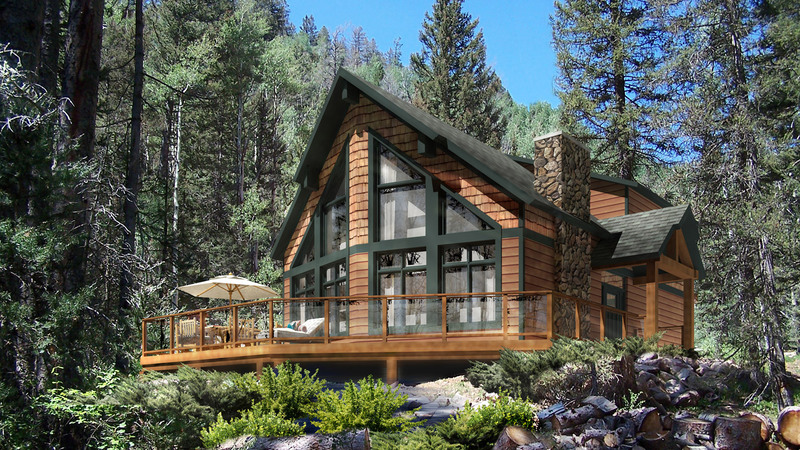 It boasts a rugged elegance featuring a prow front that is full of windows and a grand covered entry made of timber frame details. 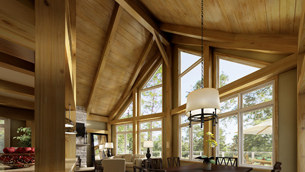 If the exterior timber frame wasn't enough, you also have the option of bringing that look to the interior as well. 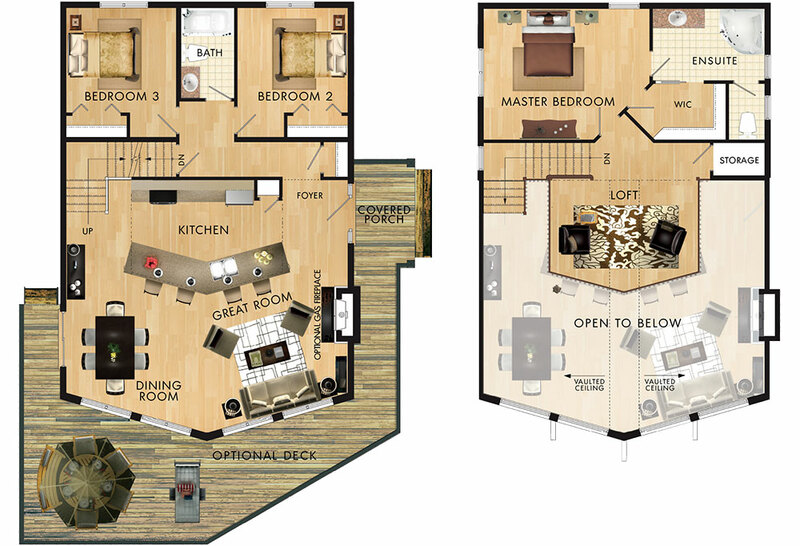 Inside, the center of this layout is the focal point, which is the kitchen with an angled island mimicking the prow front and providing ample seating. 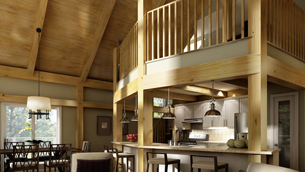 Directly above the kitchen you will find the same angled design creating an airy loft. 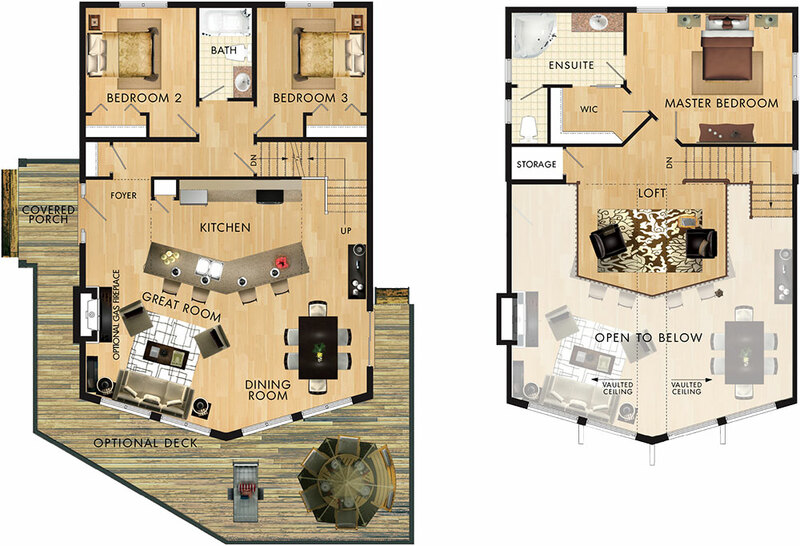 On the second level you will also find the master bedroom and a bonus storage closet.